The 529 Plan Pot O' Gold Is Growing! 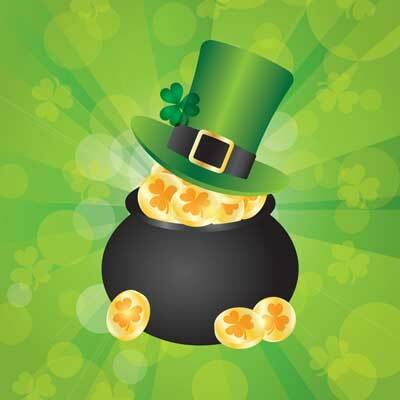 Home	// College Savings 101 // Articles // The 529 plan Pot O' Gold is growing! Many future college students should be feeling lucky this St. Patrick’s Day. A report released by the College Savings Plan Network (CSPN) announced that total investments in 529 college savings plans hit a record level of $227 billion. That’s $227 billion that will grow tax-free, and won’t be taxed at withdrawal time if used to pay for qualified educational expenses. However, families still have a long way to get to the end of the rainbow. A recent article on Forbes.com points out that although the average account balance reached a new high of $19,584, this amount won’t even cover the total costs of a student’s freshman year at a public four-year school (See our college costs infographic). Some savings are always better than no savings, but we agree with Forbes.com that there is certainly an opportunity for more families to take advantage of the benefits of 529 plans. The CSPN data also suggests that many savers are not regularly putting money into their accounts. 48 percent of accounts did not receive contributions last year, which is partially due to the rising number of grandparents opening accounts. According to our Annual College Savings Survey, only 15 percent of grandparents plan on increasing their 529 contribution amounts in line with their income, compared to 30 percent of parents. Grandparents and other relatives may also open accounts with an initial lump sum instead of giving monthly deposits. State politicians are coming up with ways to promote the use 529 savings plans, including offering new tax incentives. Our Survey revealed that issues related to 529 plan state regulations are one of the biggest areas of confusion for our readers. Be sure to explore all of the benefits offered by your state, but keep in mind that you are not obligated to invest in your state’s plan. Forbes.com reminds us that if you do receive a tax break, don’t forget to report contributions on your tax return each year.